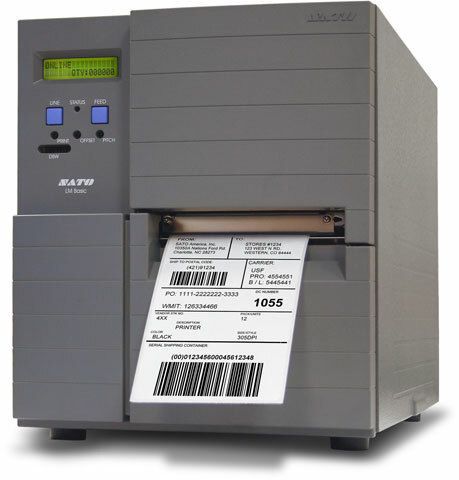 With its entry level pricing, the SATO LM4e line of products fit nicely into the budget of every Startup Company, or small business. Affordably priced, and yet offering superior performance usually reserved for print solutions costing much more, the LM4e printers are a true value for your cost sensitive applications. Printing labels has never been easier or quicker with the LM Series thanks to the high speed throughput power of these enhanced printers. These 4" wide printers not only come with a choice of 203dpi or 305dpi printheads. In addition, you also have a choice of interface board: LAN and Wireless LAN, USB, IEEE1284 or the high speed RS-232C.